Bethesda has released a movie of The Elder Scrolls Online: Tamriel Unlimited that shows us the improvements made to the game on Xbox One X. So we discover that on the new console the title goes to 4K with HDR, has more visual distance, more screen details , even more realistic reflections, and finally better luminosity in the environments. 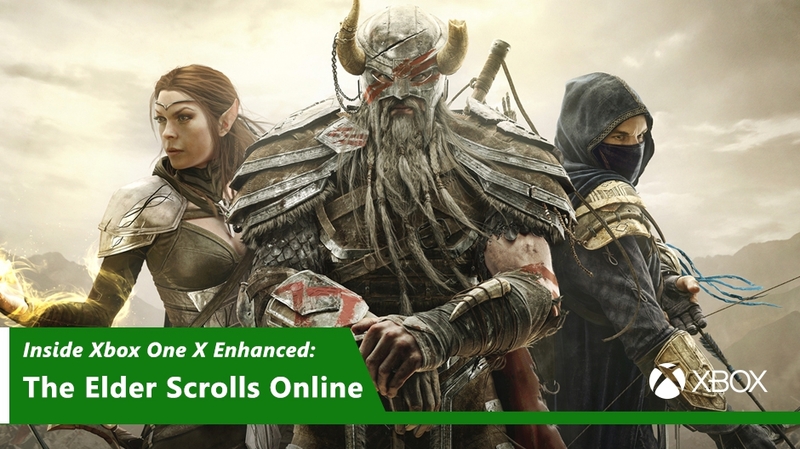 More and more games show off their capabilities on the Xbox One X and now it’s time to show you how The Elder Scrolls Online will look on the new Microsoft hardware. For us to see their improvements Bethesda has prepared this trailer for us and we have it for you. Like many other games, it will feature native 4K resolution, improved visuals, much wider draw distance, realistic reflections and more. The Elder Scrolls Online supports 4K resolution natively and with HDR displays on Xbox One X. In addition, this version includes improved viewing distance, enhanced shadows with environmental occlusion of the screen space (SSAO) as well as reflections on the improved water. The new Microsoft console was launched on November 7. For those who think to enter this game on their Xbox One X (and the rest of the platforms) we remind you that the Clockwork City DLC will come with a new zone, a new quest, a special challenge, the Transmutation system, etc. The Elder Scrolls Online is also available on PS4 and PC.